When officials found Ghost, a blind horse abandoned on the side of the road, they decided to send him to jail. He didn't break the law. 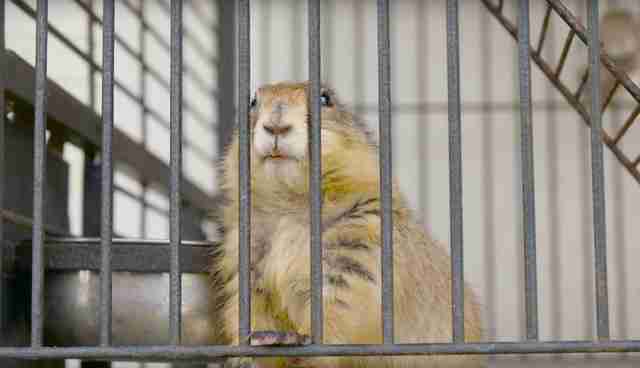 They took him there because the jail has its own on-site animal rescue center, operated by a group of enthusiastic inmates who are making most out of their time behind bars. For the next eight years of his life, Ghost received the care and affection he deserved. Recently, CNN's Great Big Story got an inside look at the rescue facility unlike any other in the United States. In 1994, the Monroe County Sheriff's Animal Farm in Key West, Florida, started out as a small pond for nearby ducks. 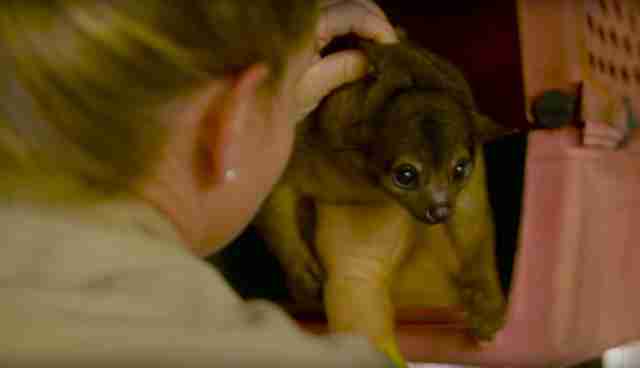 Now, it's home to 150 animals ranging from goats to kinkajous, who are each cared for every day by a group of four inmates and a full-time biologist who supervises the entire program. The farm receives a wide range of animals from across the Florida Keys. From horses left to die to exotic pets whose owners no longer want them, each animal arrived at the farm after being "abandoned, abused, confiscated or donated," the farm's supervisor, Jeanne Selander, told The Dodo. The inmates are grateful for what they call a once-in-a-lifetime experience. "I'm a city boy. I'm from New York. I've never seen a cow or anything like that," one of the inmates told Great Big Story. 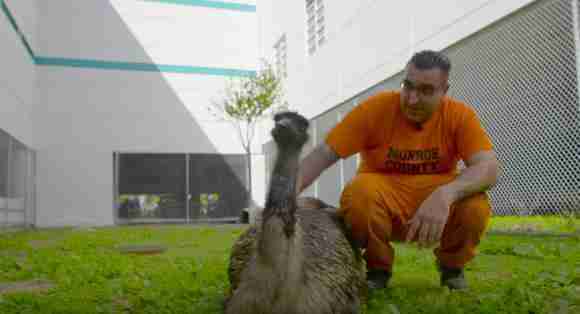 "Hanging out with an emu, it's pretty cool, and I probably won't have another opportunity like that in the rest of my life." 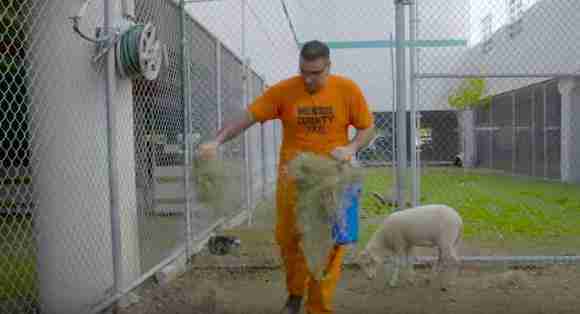 Former inmates are so proud of the work they do with the animals that some have even returned to the center after their release to show their families how they spent some of their time in jail. Watching the inmates grow as they care for the animals has been a rewarding experience for Selander, who recalled the joy of watching inmates learn to accommodate Ghost's blindness by using their voices to communicate with him. For the animals who have gone through their own dark pasts, the farm provides a sense of shelter and security. It gives the humans something a little different: some time outside, a chance to show compassion and even a sense of humor. "I'm here just for a year, you know, and these guys are here for a life sentence," one of the inmates said to the camera. Want to learn more about this story? Follow Monroe County Sheriff's Office Animal Farm on Facebook.